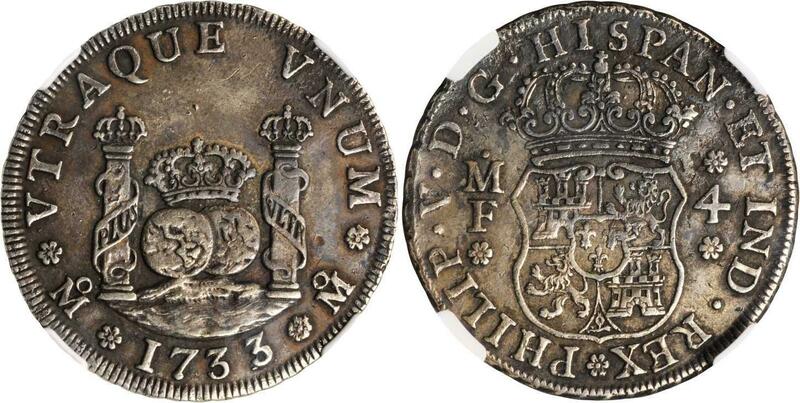 MEXICO, Philip V, silver four reales, 1733MF, mm Mo (KM.94). 1734,MEXICO. 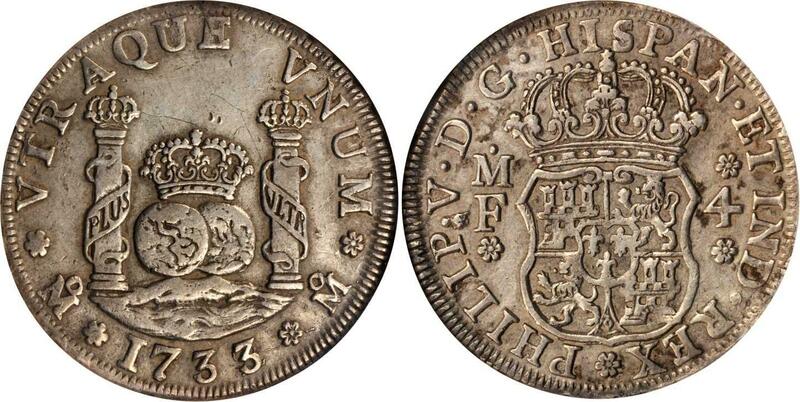 4 Reales, 1734/3-MoMF. Philip V (1700-46). NGC VF Details--Tooled.KM-94; Cal-type-179#1046; Gil-M-4-6a. 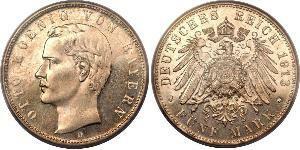 Natural planchet flaw, some evidence of tooling.Pedigree: From the David Gray Collection. 1737,MEXICO. 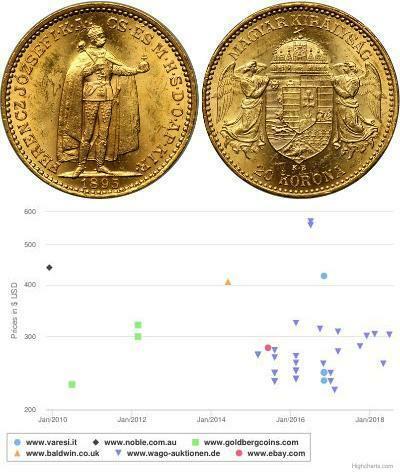 4 Reales, 1737-MoMF. Philip V (1700-46). NGC VF-30.KM-94; Cal-type-179#1052; Gil-M-4-9. Toned and very appealing.Pedigree: From the David Gray Collection. 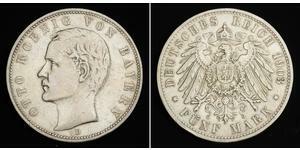 Purchased from Baja Numismatics September 26, 1994. 1735,MEXICO. 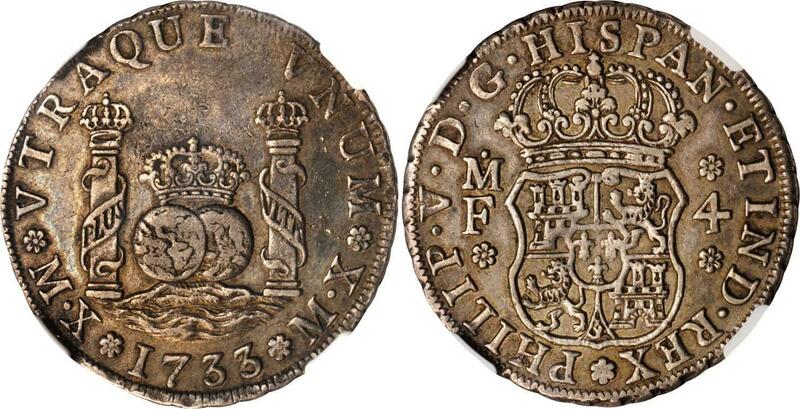 4 Reales, 1735-MoMF. Philip V (1700-46). NGC EF-45.KM-94; Cal-type-179#1049; Gil-M-4-7. Nice peripheral toning.Pedigree: From the David Gray Collection. Ex: Ponterio & Associates Sale #116 Lot #370 October 6, 2001. 1734,MEXICO. 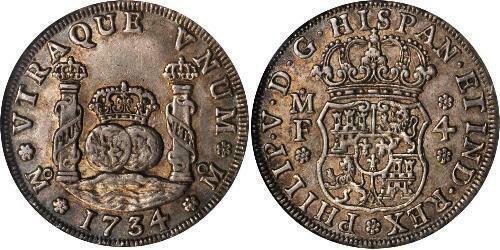 4 Reales, 1734-MoMF. Philip V (1700-46). NGC AU-50.KM-94; Cal-type-179#1047; Gil-M-4-6. Exceptional quality for this normally well worn type. Nice strike and attractively toned.Pedigree: From the David Gray Collection. Ex: Ponterio & Associates Sale #129 Lot #1018 January 17, 2004. 1734,MEXICO. 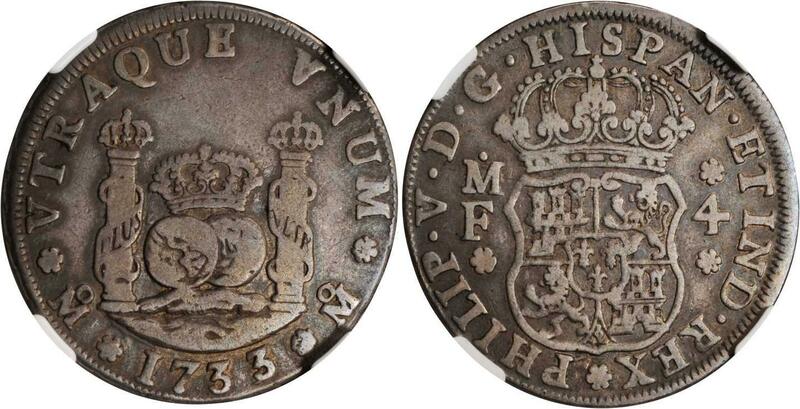 4 Reales, 1734/3-MoMF. Philip V (1700-46). NGC EF Details--Harshly Cleaned.KM-94; Cal-type-179#1046; Gil-M-4-6a. Somewhat bright with some hairlines evident from previous cleaning. A well struck example with sharp details in globes and pillars.Pedigree: From the David Gray Collection. 1733,MEXICO. 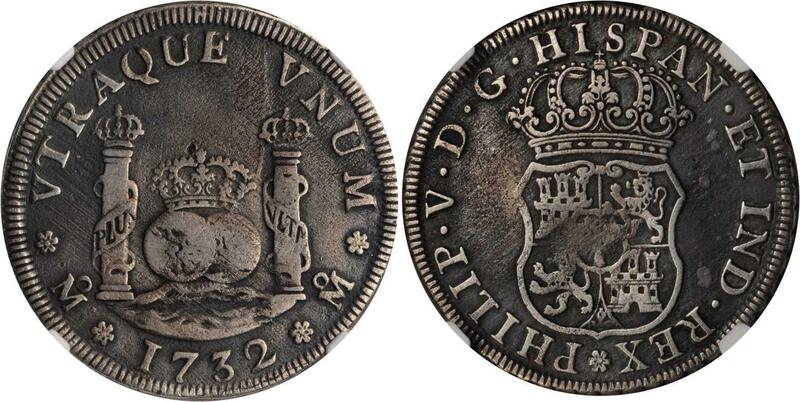 4 Reales, 1733-MoMF. Philip V (1700-46). NGC VF Details--Environmental Damage.KM-94; Cal-Type-179#1045; Gil-M-4-4.Pedigree: From the David Gray Collection. 1733,MEXICO. 4 Reales, 1733/2-MoMF. Philip V (1700-46). NGC FINE-15.KM-94; Cal-type-179#1044; Gil-M-4-4a. RARE. Toned, nice even wear.Pedigree: From the David Gray Collection. Ex: Ponterio & Associates Sale #86 Lot #3339 April 4, 1997. 1733,MEXICO. 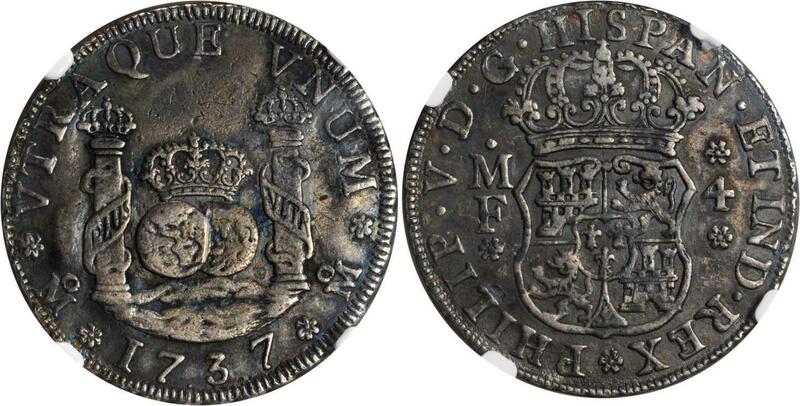 4 Reales, 1733/2-MoMF. Philip V (1700-46). NGC VF-35.KM-94; Cal-type-179#1044; Gil-M-4-4a. RARE. Bold strike, nicely toned.Pedigree: From the David Gray Collection. Purchased Private Treaty from Daniel Frank Sedwick March 1998. 1733,MEXICO. 4 Reales, 1733-MXMF. Philip V (1700-46). NGC EF-45.KM-94; Cal-type-178#1041; Gil-M-4-5. VERY RARE. Boldly struck and nicely toned. Very attractive.Pedigree: From the David Gray Collection. Purchased Private Treaty from Pat Johnson October 1996. 1733,MEXICO. 4 Reales, 1733/2-MoF. Philip V (1700-46). NGC EF Details--Holed.KM-94; Cal-type-179#1044(Plate coin); Gil-M-4-2a(Plate coin). EXTREMELY RARE single letter assayer.Pedigree: From the David Gray Collection. Ex: Ponterio & Associates Sale #130, Lot #731. Ex: Gerber Collection. 1734,MEXICO. 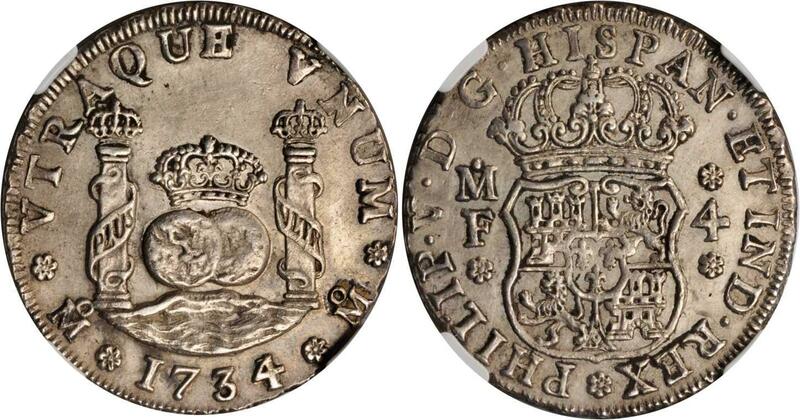 4 Reales, 1734-MoMF. Philip V (1700-46). NGC EF Details--Salt Water Damage.KM-94; Cal-Type-179#1047; Gil-M-4-6. Nicely struck. Surfaces mildly granular due to salt water submersion. With certificates of authenticity.Pedigree: From the David Gray Collection. 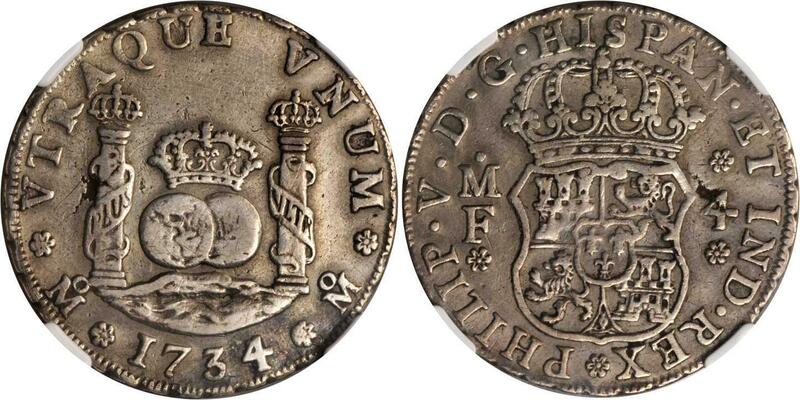 MEXICO, Philip V, silver four reales, 1733 MF, mm Mo (KM.94). Worn smoothly, very good and very rare. 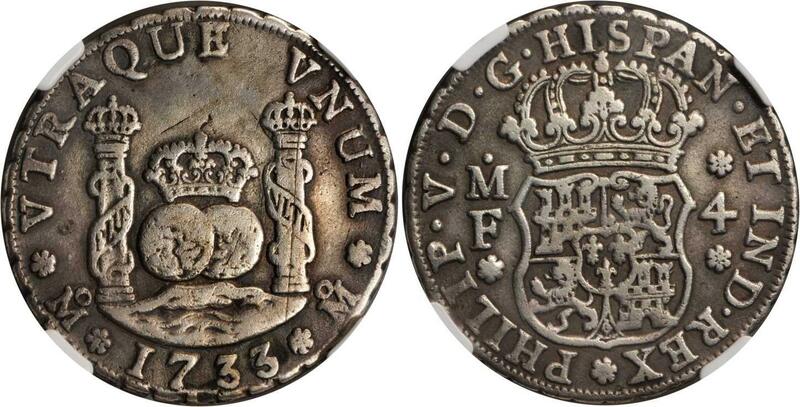 MEXICO, Philip V, silver four reales, 1733MF, mm Mo (KM.94). Worn smoothly, very good and very rare.